Coastguards Retreat offers accommodation in Hayle. It provides free private parking. An oven and a toaster can be found in the kitchen and there is a..
Sea Skies is a holiday home located in St Ives in the Cornwall Region and is 600 metres from Carbis Bay. 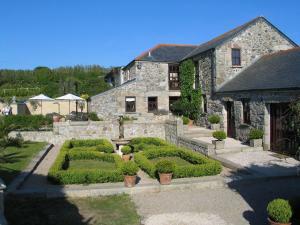 There is a dining area and a kitchen equippe..
Laity Vean Farmouse Annex offers pet-friendly accommodation in Carbis Bay. The property is 3 km from St Ives and features views of the garden. 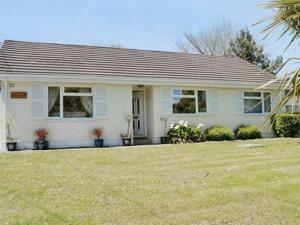 An ove..
Invercloy is a holiday home with a barbecue, located in Carbis Bay. 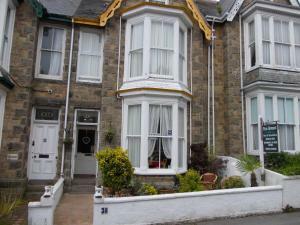 The property is 3 km from St Ives and free private parking is available. Free WiFi..
Con Amore Guest House is located in a quiet part of Penzance, 5 minutes’ walk from the town centre and seafront. This family run guest house offers ..
Coastguards Hideaway offers accommodation in Gwithian. The property boasts views of the city and is 7 km from St Ives. An oven, a toaster and a refri.. 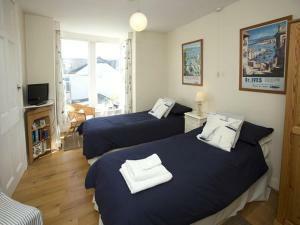 Situated 14 km from St Ives and 41 km from Newquay, Hillside offers accommodation in Porthleven. The unit is 23 km from Falmouth. The kitchen feature.. Featuring a garden with a barbecue, Suncroft is a holiday home located in Porthleven. The property is 15 km from St Ives and free private parking is p..